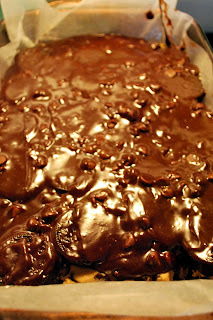 My family was in from Colorado, so I had them over for dinner... Dinner was just okay...BUT then I brought out these brownies- nobody cared that dinner was just okay. These are pure yumminess. Another find from Pinterest. Line a 9 X 13 pan with waxed paper and spray the waxed paper with cooking spray. 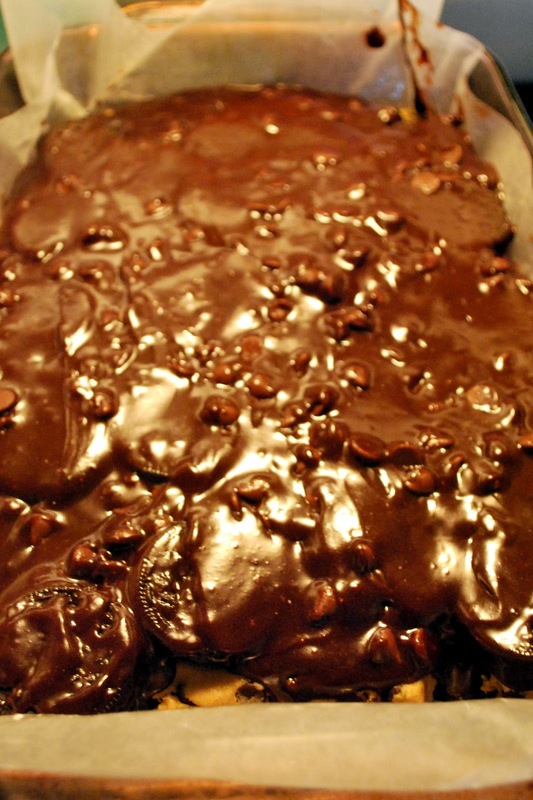 (Yes, you can bake with waxed paper- I NEVER knew this!) 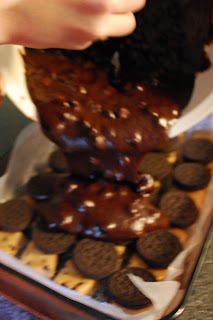 This will make the brownies so much easier to get out, BUT do not let them cool completely in the pan- you will have to peel waxed paper off the bottom. Break apart the cookie dough and arrange in the bottom of the pan. 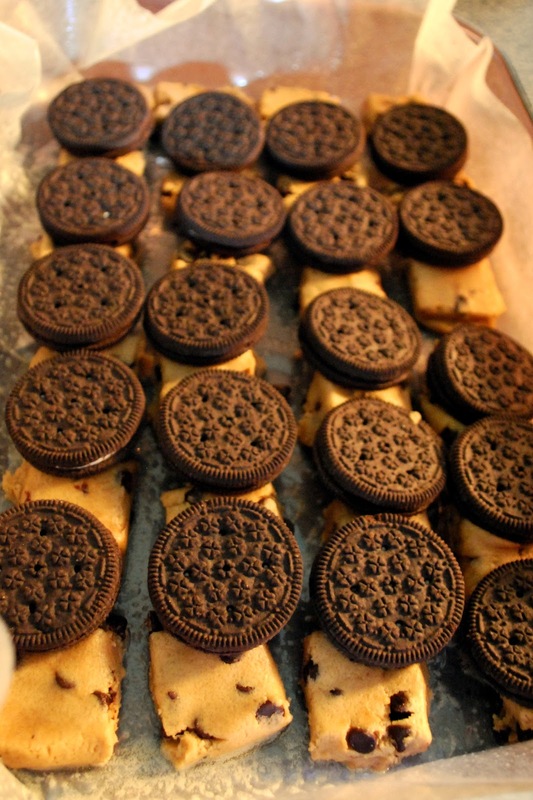 Place Oreos on top of the cookie dough. Prepare the brownie mix according to package direction and pour over the top of the Oreos and Cookie dough. Bake in a 350 degree oven 45-55 minutes. Top with vanilla ice cream. Enjoy!!!! I made this for a Christmas party! They went over great! But I wish I would have bought a tub of premade cookie dough to spread on the bottom of the pan instead of the break & bake!